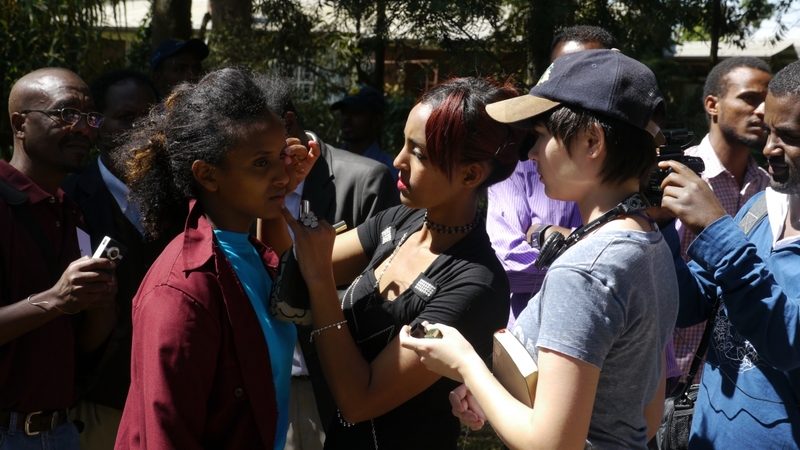 Lucy Gebre-Egziabher, a filmmaker and educator, was selected for a Fulbright Specialist Program to teach at Rift Valley University in Addis Ababa, where she also undertook the mission of training Sandscribe students. Rift Valley is one of Sandscribe’s local partners, and our training base is located on their Bole campus. 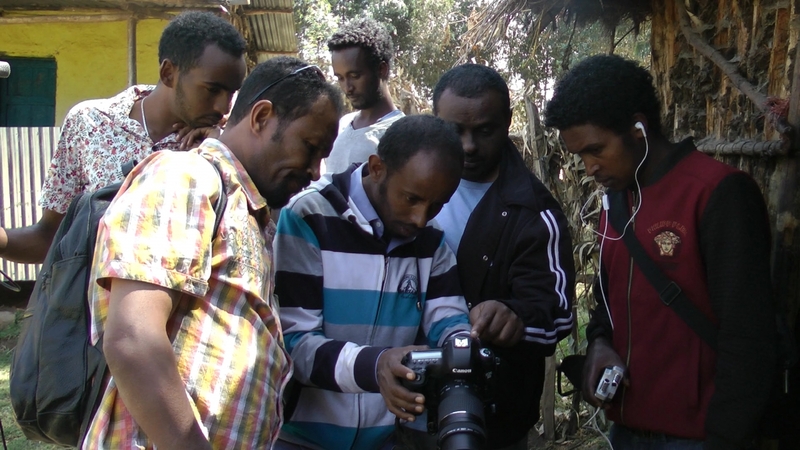 From October 26 – December 6, 2015, Gebre-Egziabher taught an intensive training practicum: “From Script To Screen.” Students grouped into four teams to make four short films, which were screened to an audience of filmmakers and film students for critique. Two of the four Sandscribe films, Qanafaa and Ye Gomma Werat, won audience acclaim at the screening. Lucy also gave our students the opportunity to take part in two film symposiums organized by US Embassy in Addis Ababa. We were thrilled to add her to our list of amazing teachers.